When the original Moonman 80 came out, I resisted buying one because I already have more Parker 45s than I can remember. However, when the 80mini came out I knew it was worth a try, if only to be a recepticle for my favorite Parker 45 gold nibs. Although the quality isn't nearly as good as that of a real Parker 45, these pens still hold their own and nib swappability opens up endless possibilities. How cool is it that I can put a soft 14k UK Parker 45 OBB stub in a tiny pen that will fit in my pocketbook or even directly in my pocket?? 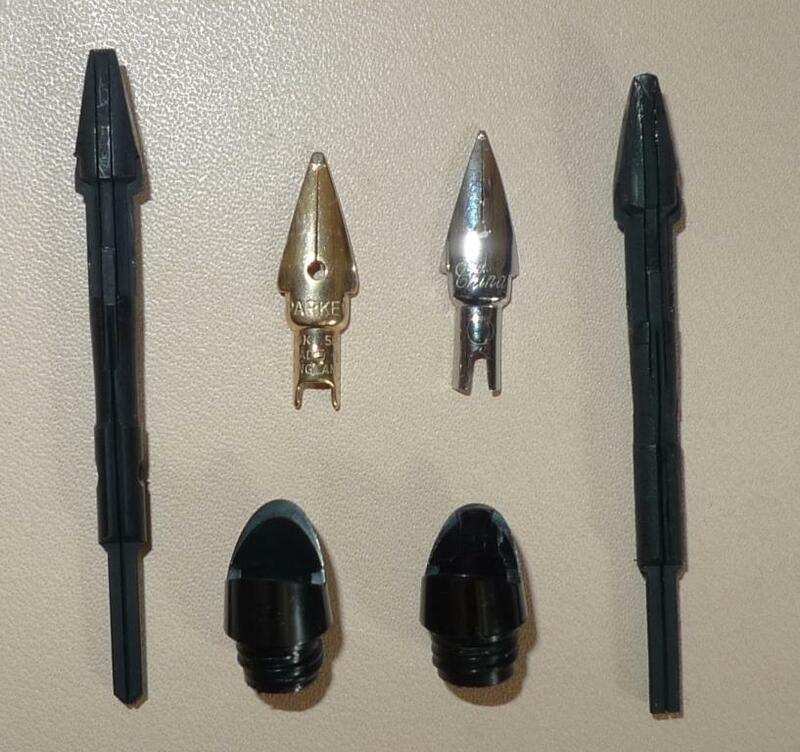 Notice the extra bits of plastic from the injection molding process still on the Moonman's feed and cowl. This leads me to believe that the Moonman will probably write much better if one uses a razor blade to scrape off the extra plastic bits and floss the channels. 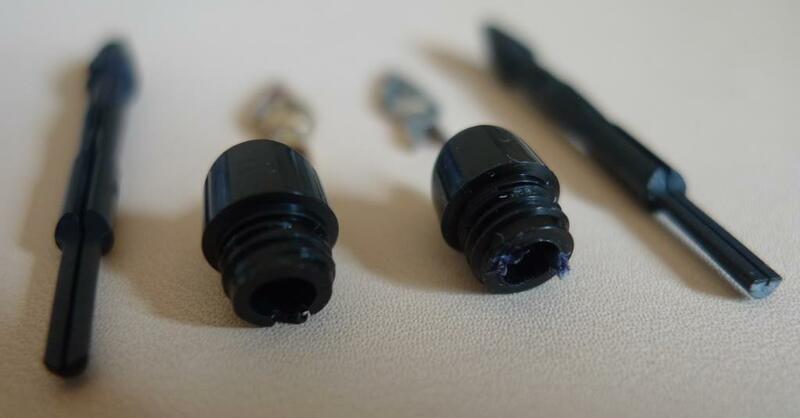 Just to update: I've noticed that not just the pen itself, but the ink in the Moonman cartridges itself is extremely dry. My usually wet Parker 45 B used above required some pressure to get it's normal broad line. 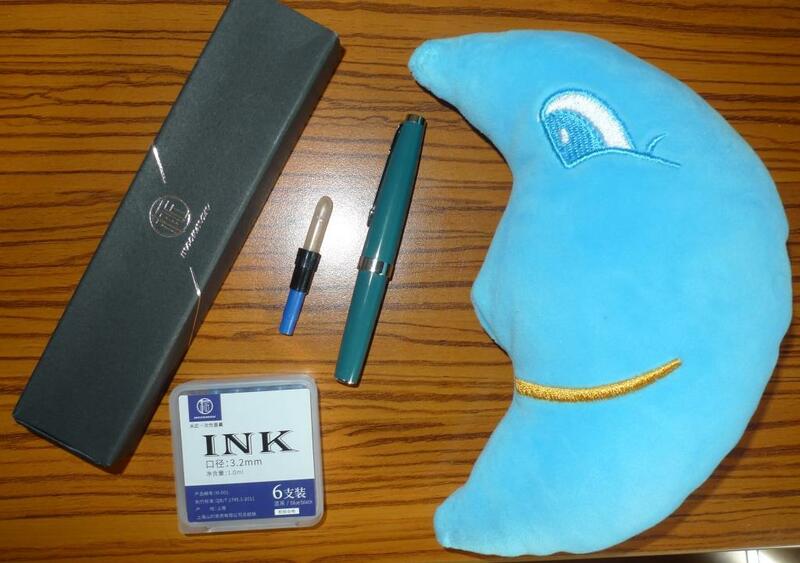 One good thing I noticed about the Moonman Blue-black, however, is that it's 100% waterproof. It smells like iron and loses some of its blue hue as it dries, so I'm certain it is an iron gall ink. Edited by TruthPil, 03 September 2018 - 14:18. 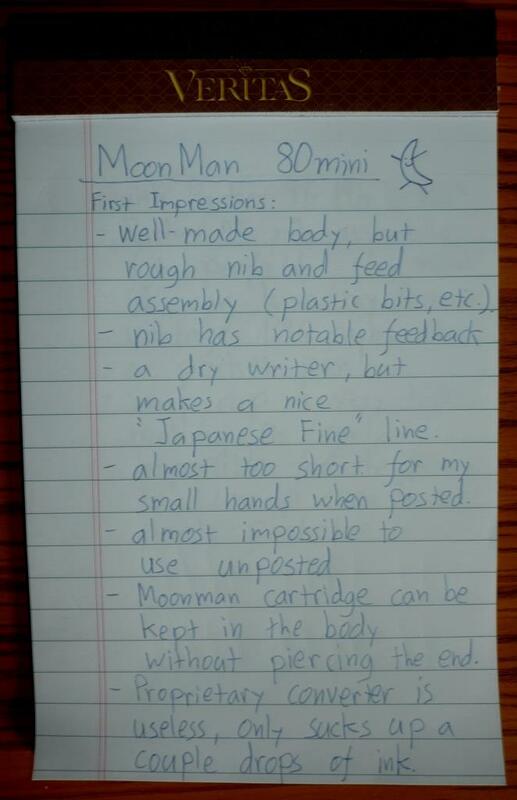 Nice review, so with this I think it can be concluded that the Moonman 80S and Mini are dry writing pens. 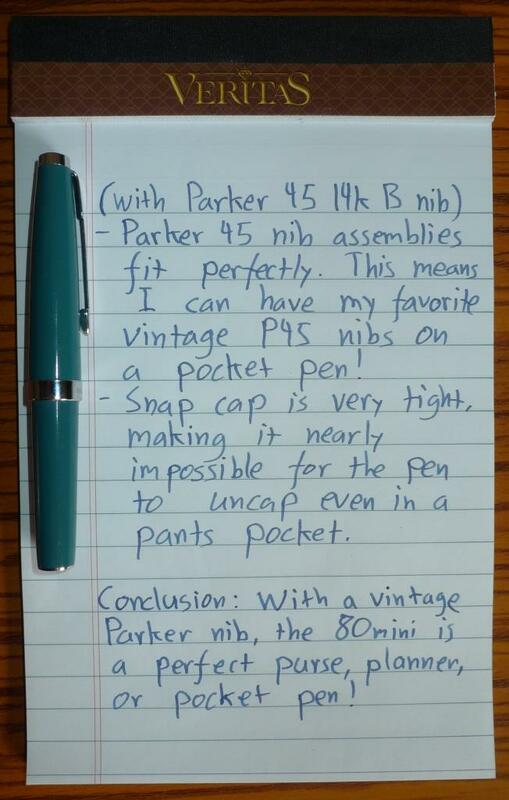 If the remedy is that simple, I better start scavenging Parker 45 nibs on Feebay! 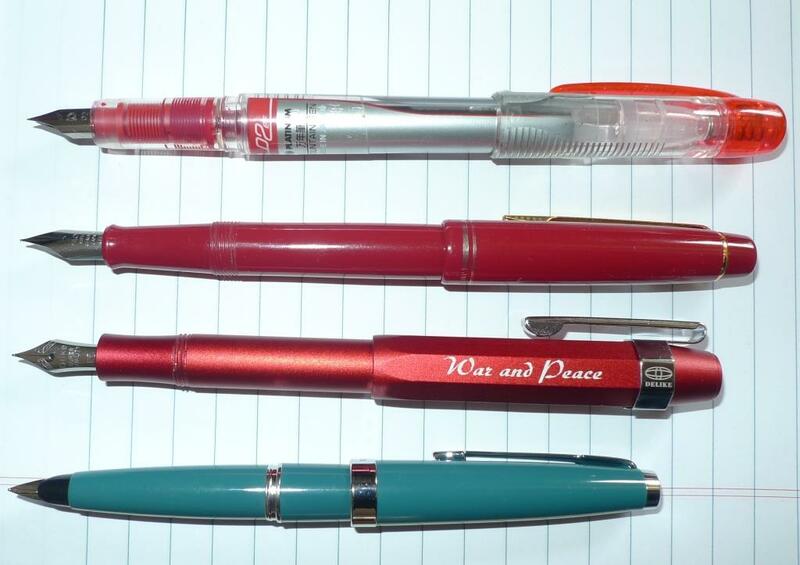 The Moonman 80 pens do seem to be characteristically dry writers, which is something preferable for writing those intricate Chinese characters. 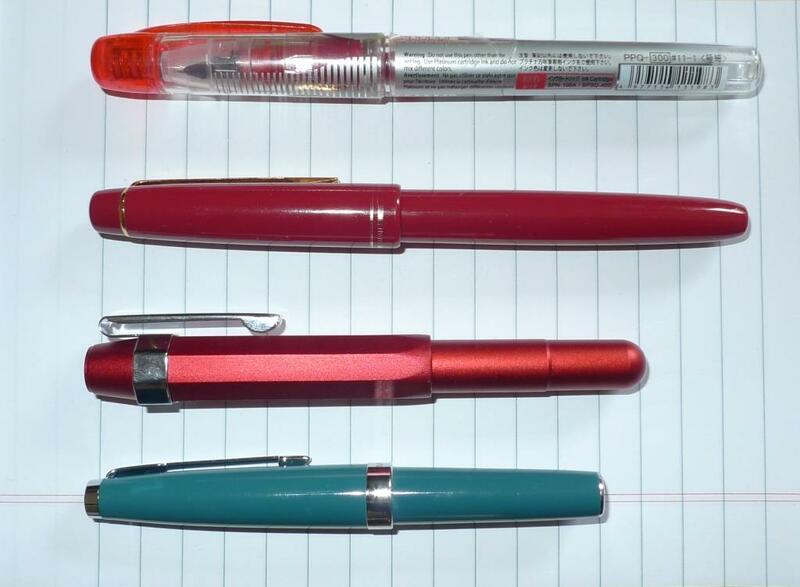 There are always hundreds of Parker 45s on the bay, plenty with 14k nibs as well. Sometimes it's cheaper to just buy the pen than get the nib separately, although you risk getting a nib someone has messed up. The best Parker 45 nib I ever got was from FPN Member piscov (no affiliation) who tuned it before sale, so I recommend contacting him first to see what he has. I have a Parker 45 XF in flawless condition that I want to sell (bought it from Japan so it's geared for writing a really fine line). Let me know if you're interested. Great review and I like the moonman.